After the huge success of his track ‘Together’ with Spinnin’ Records, Maor Levi is back with the Dutch powerhouse label with what looks like another massive hit on his hands, ‘Pick Up The Pieces’ is due to drop September 22nd. Teaming up with vocalist Angela McCluskey (‘Breathe’, ‘In The Air’, ‘Tell Me Why’, ‘Stargazing’), Maor is once again on top form with ‘Pick Up The Pieces’ doing what he does best, delivering a refreshingly supreme slice of progressive house that is as elegant as it is powerful. McCluskey’s voice adds a dreamlike quality to the overall tone of the track, rising over Maor’s skillfully interwoven creation of delicate piano segments, soaring synths and undulating electro elements. At times ethereal and euphoric, at times mammoth and bass-driven, ‘Pick Up The Pieces’ is Maor at his finest. Currently on tour in the US and Canada for the next few months with fans eager to catch a glimpse of the rising star in action, and with more music scheduled for release as Fall gets underway, it’s fair to say that Maor Levi has ramped up the pace across 2014 and positioned himself firmly as one of the most exciting names to watch out for as we move closer to 2015. 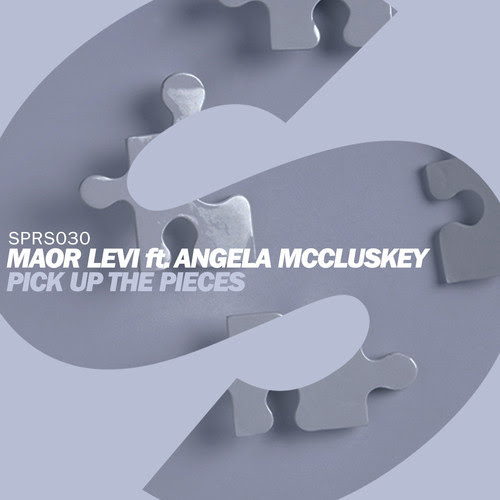 Maor Levi ft. Angela McCluskey – ‘Pick Up The Pieces’ is released September 22nd on Spinnin’ Records exclusively on Beatport.